From first-time mountain biking to expert riders wishing to trial an e-bike, we can help anyone and everyone to discover a new style of cycling. For families there are magnificent rides out into the forest or along our famous coastline, stopping along the way for a pic-nic or aiming for an end-destination at a classic Tuscan eatery. We encourage kids to start riding off-road, and if our beachside pumptrack doesn’t help improve their skills, one of our instructors will. 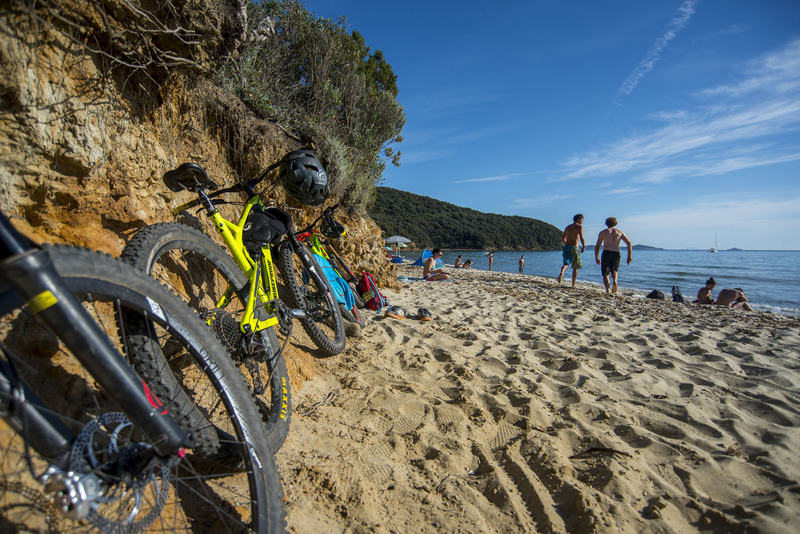 An e-bike is a fantastic way to discover the countryside, beaches and mountains of Punta Ala Trail Center, and for novices and experts alike it can be a fun and fulfilling day out. We have a range of e-bikes in our rental fleet and encourage everyone to try it – until you have, you just don’t know a good time! 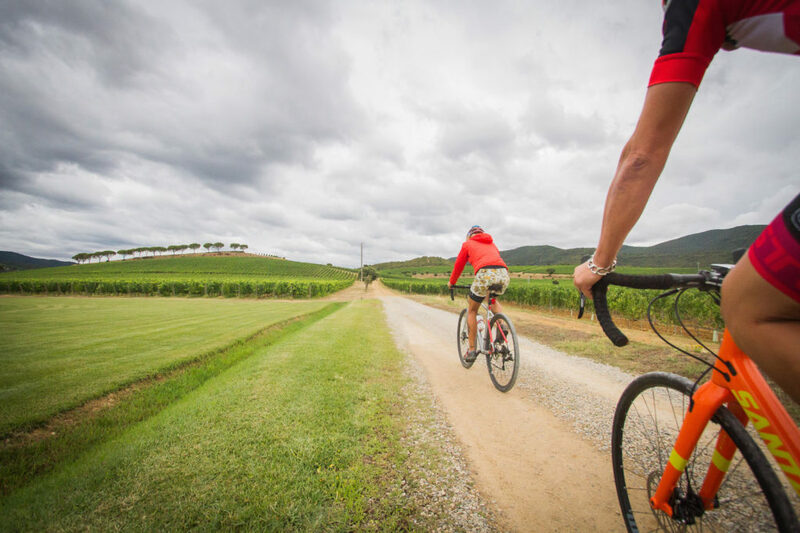 Tuscany is steeped in history and famed for its culture, and with monastic ruins in the mountains, classic restaurants nestled in the trees, there is no better way than a mountain bike to get around during your stay with us. We don’t just have mountain bikes though; for those who are looking for a different experience off-road, gravel bikes, which are essentially racing bikes with higher volume knobbly tyres, are a superb way to explore. Take the back roads and farm tracks to discover a side of Tuscany you’ve never before seen.